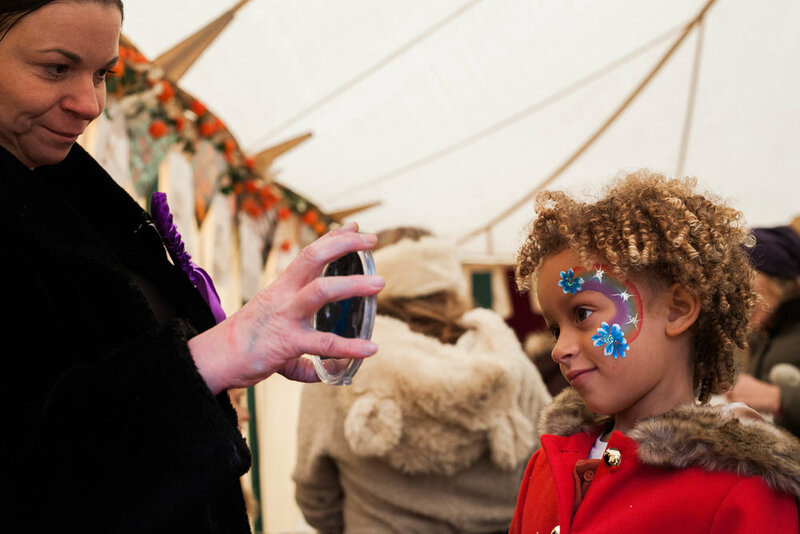 This year we visited The Real Halloween for the second time; a weekend event created by The Fairyland Trust, celebrating all things magical about this spooky holiday. This year, it was held at the beautiful Bradmoor Woods near Swaffham in Norfolk - an ancient forest that provided a suitably wild and wonderful backdrop. Alongside drop-in activities such as lantern-making, Halloween games, Fairyland Photo Booth and face painting, The Real Halloween also offers children the chance to take part in imaginative and interactive workshops. We joined in for Wizard Shield making where the children learned about woodland animals, woven together through a story centred on the magic we can achieve by working together. The children then built their own shield using woodland materials. In the central clearing there was opportunity to dance in the performance tent, eat, drink and gather around the fire at dusk. The main attraction is always the candlelit telling of the The Real Halloween story before the lantern parade starts and the woods fell hush as the children were captivated by the storytellers. Following this, the lanterns were lit as the parade meandered through the forest where witches and wizards danced in the moonlight before a fire show ended the day. For those that would like to expose their children to the original meaning of this festival, outside of sweets and trick-or-treating, The Real Halloween offers an opportunity to reconnect with nature, expand your imagination and encourage children to strengthen their bond with their environment. The Fairyland Trust is a charity dedicated to working with children on the conservation of our environment and needs your support - please do pay their website a visit to read more about their work.